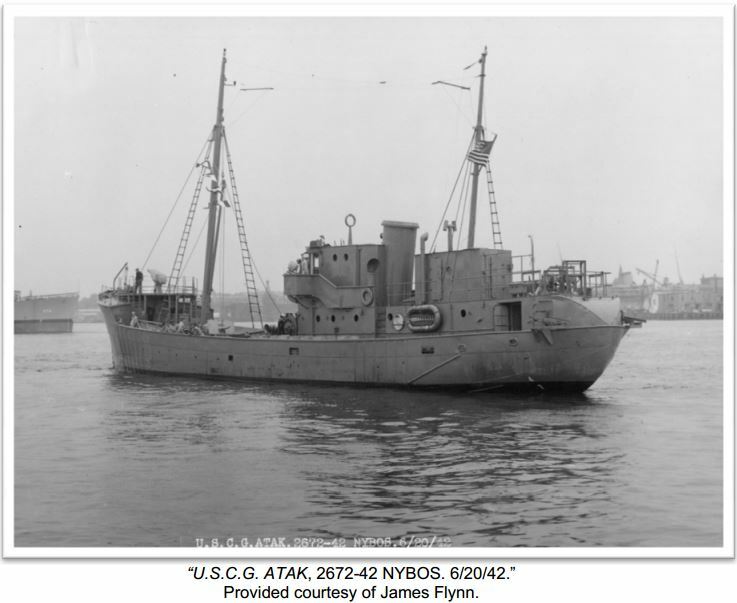 Type and Characteristics - WYP-163; built by Bath Iron Works, Bath, ME, as a commercial steel-hulled fishing trawler for Usen Fishing Co., named Winchester, 1937; commissioned by the Coast Guard 14 June 1942 at a cost of $75,000 to convert hull, renamed Atak; 443 tons displacement full load, 130ft3in long x 23ft beam x 11ft 8in draft; main engines- 1 Fairbanks Morse 5-cylinder diesel; 550 BHP; single propeller; economic speed 9.5 knots; 5,000 mile range; armament1 x 6-pounder; 2 x 20mm/80 single mount; 2 x depth charge tracks; crew 17. 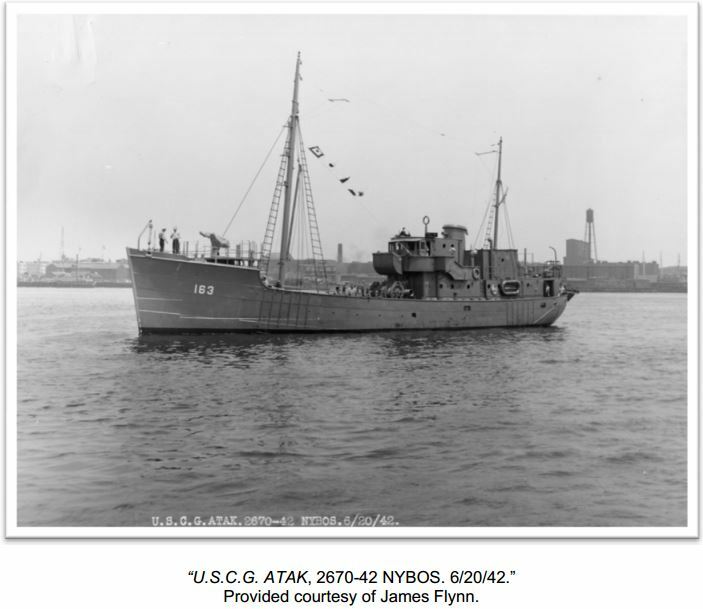 14 June 1942 - Commissioned and assigned to CINCLANT stationed at Boston, MA. 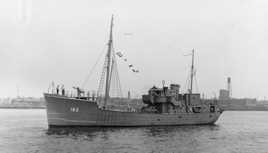 13 September 1943 - Rescued twenty crew from the wrecked trawler Terra Nova. The four crewmen who volunteered to man the lifeboat for four hours on repeated trips to retrieve all of them received the Navy & Marine Corps Medal. 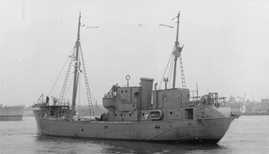 Fate - Decommissioned 15 July 1944, turned over to the War Shipping Administration on 1 August 1944.